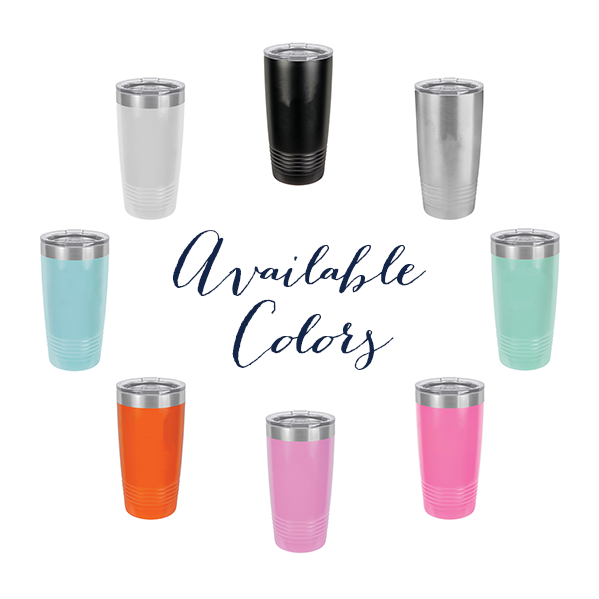 Your custom initials on this tumbler will look great poolside, on the go, at a meeting, or anywhere you are drinking! Keep drinks cold or hot with durable construction. Customized in the USA!